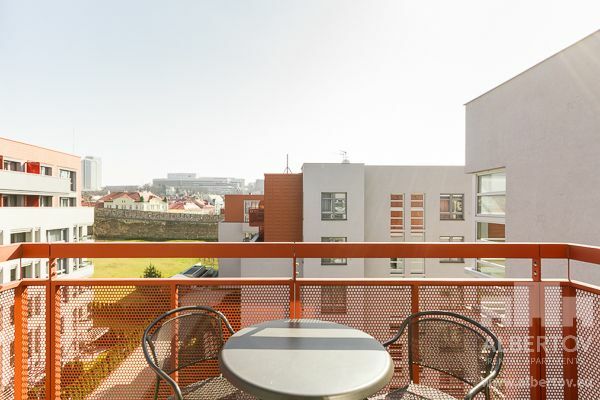 This apartment consists of two bedrooms and a living room with direct access to the balcony with picturesque views. The apartment is located on the 6th floor, with air conditioning, heated wood floors and Wi-Fi. 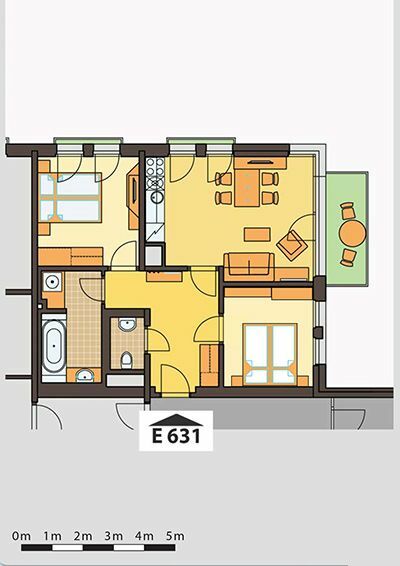 You will appreciate a separate toilet and a bathroom equipped with a bathtub and a glass shower wall for added comfort. The second bedroom is designed with a folding bed for more space, such as, to create a place for children to play. The apartment is located in a residential complex of six buildings in a quiet part of Prague near the center.